THE PICKIEST EATER IN THE WORLD: MIGHTY QUINN'S SLOW SMOKED BARBEQUE LANDS IN MANILA! MIGHTY QUINN'S SLOW SMOKED BARBEQUE LANDS IN MANILA! 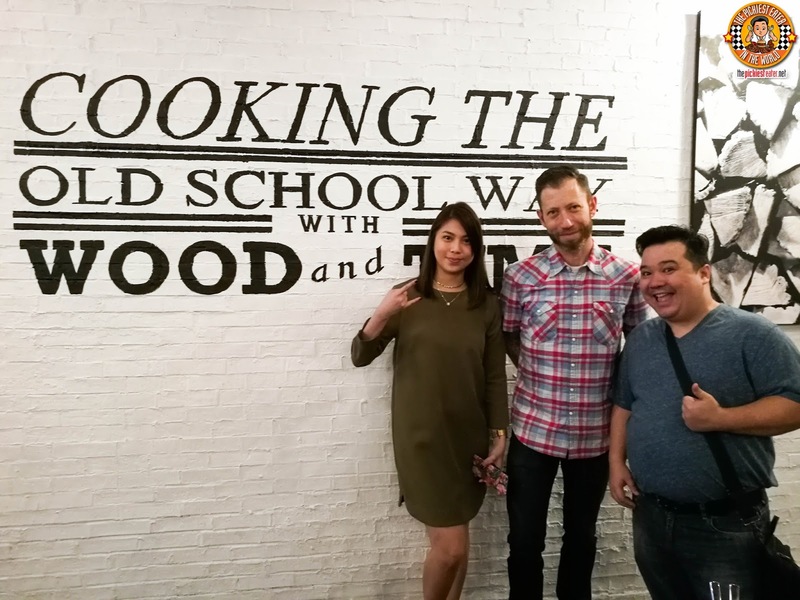 From New York to Dubai, and now in Manila, Mighty Quinn's Slow Cooked Barbeque is set to take Manila By Storm! I was lucky enough to get a chance to be among the select few to get a taste of their slow roasted, mouth watering Barbeque before their opened their doors in Manila! 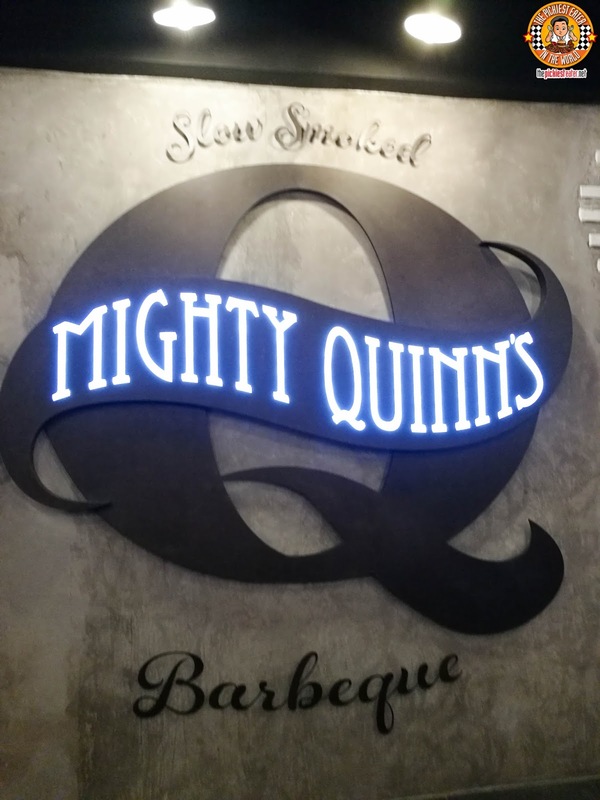 Mighty Quinn's Slow Smoked Barbeque is perhaps the fastest rising BBQ Chain in The USA. 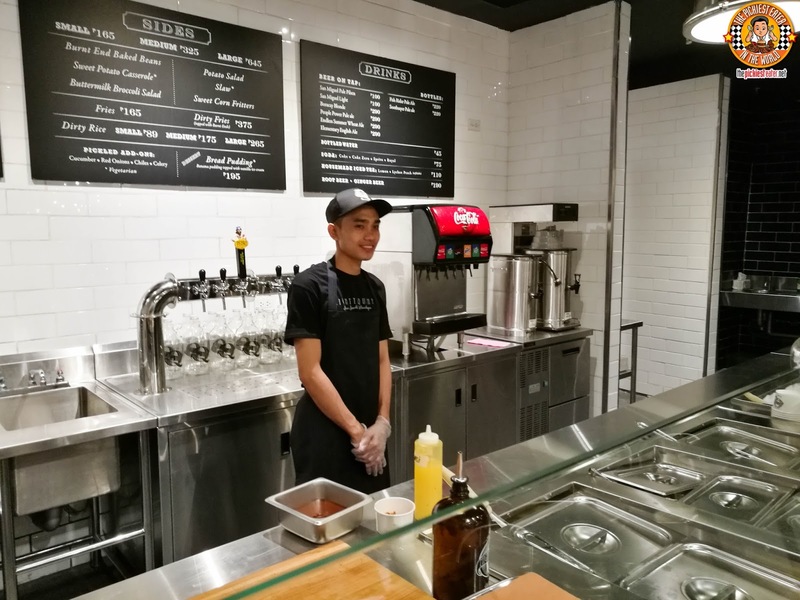 Having opened their first branch at the East Village in 2012, Mighty Quinn's now has 8 Branches spread across Manhattan, Brooklyn, and New Jersey. 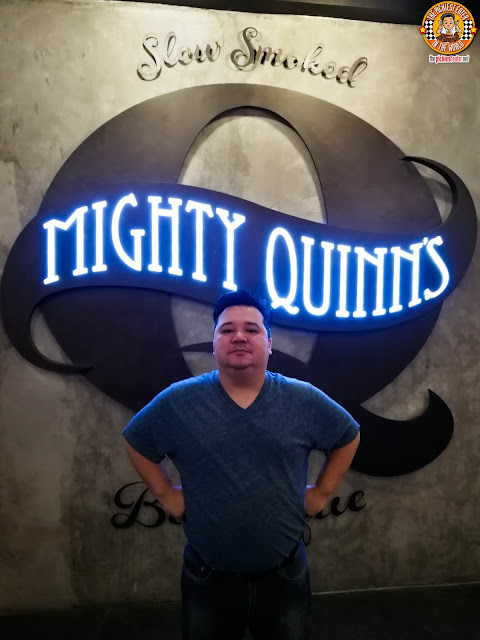 Recently, Mighty Quinn's has been wowing the world with it's Barbeque, by opening in international locations such as Taipe, Dubai, Tokyo and now, Manila. 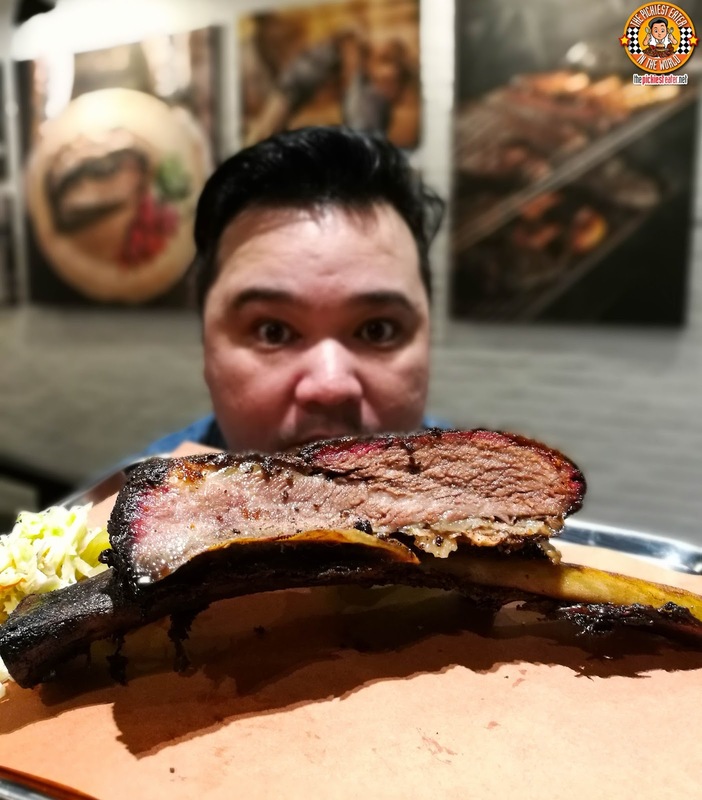 Mighty Quinn's is the brainchild of Texas Native, Hugh Mangum, who believes in the old school way of Cooking Barbeque - with wood and time. His passion for ensuring his customers get the exceptional quality of Barbeque that took New York by storm led him to visit the Philippines to personally oversee the opening of Mighty Quinn's on December 13, 2016. Mighty Quinn's first branch in the Philippines is located at the Third Floor of SM Mega Fashion Hall. 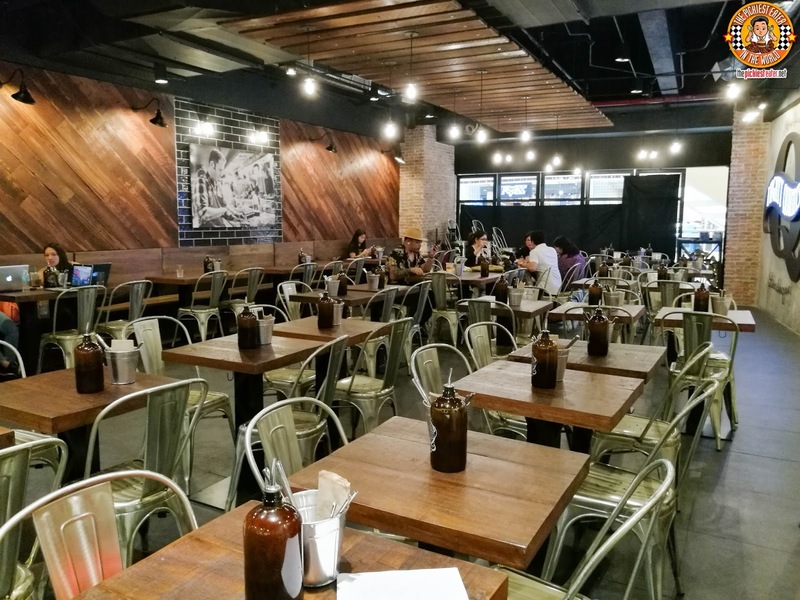 Its wooden interiors gives it a homey, almost rustic vibe, but the industrial tones makes it very contemporary. Mighty Quinn's set up is a No frill's Cafeteria Fast Casual type, where you fall in line and assemble your own plate, by choosing your Meats, Sides and Dessert. Think Kenny Rogers, but instead of Roasted Chicken, it's Slow Cooked Brisket instead. 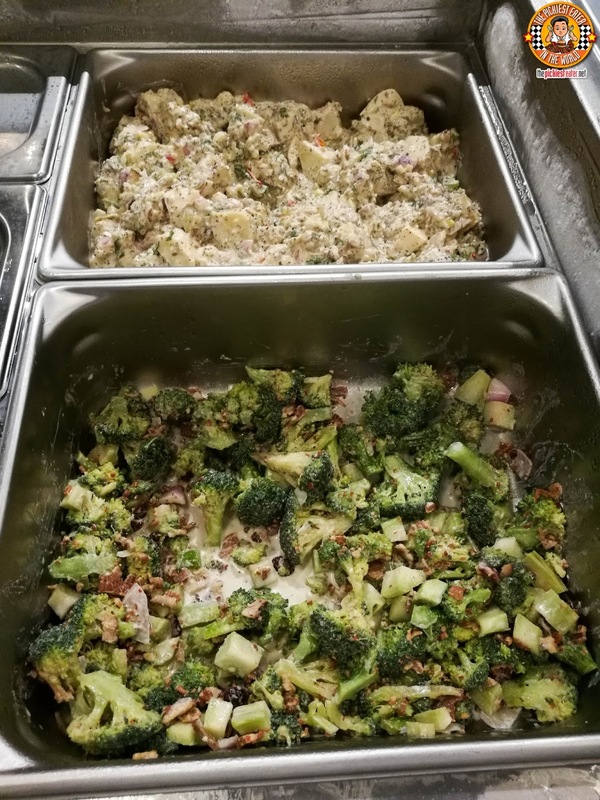 Rice isn't really a staple in the United States, which is why Americans are really big on their side dishes, and Mighty Quinn's has a whole bunch to choose from. 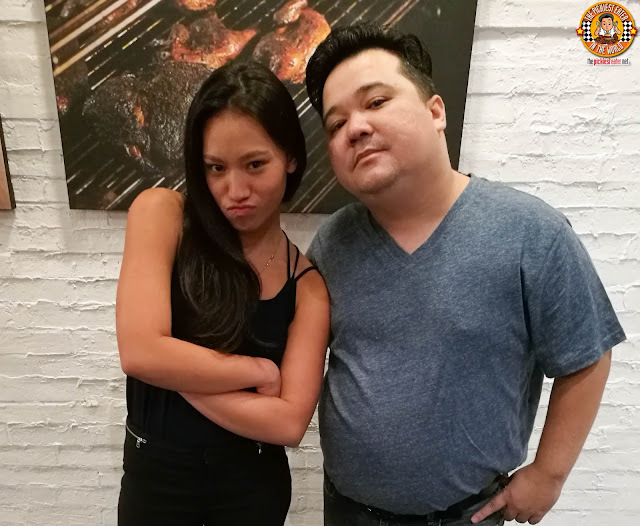 Fortunately, for us Filipinos they developed the Dirty Rice, which is made with Beef Brisket grizzle and fat, fried into it. Sounds glorious, doesn't it? Other Choices would be The Buttermilk Broccoli Salad (First time I ate Broccoli in a long time.. Bacon is a wonderful thing), Slaw and Potato Salad. It's important for you to know that I am fully aware this isn't the best picture of Mighty Quinn's Burnt End Baked Beans. However, I'm posting it nonetheless because that's how awesome it tastes. 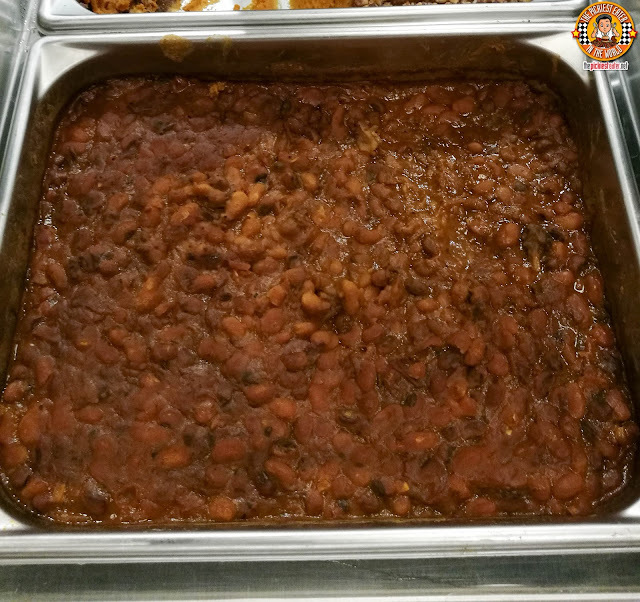 The Beans are baked with the drippings and burnt ends of the Brisket, giving it a subtle smokiness that pairs seamlessly with whatever meat you order. 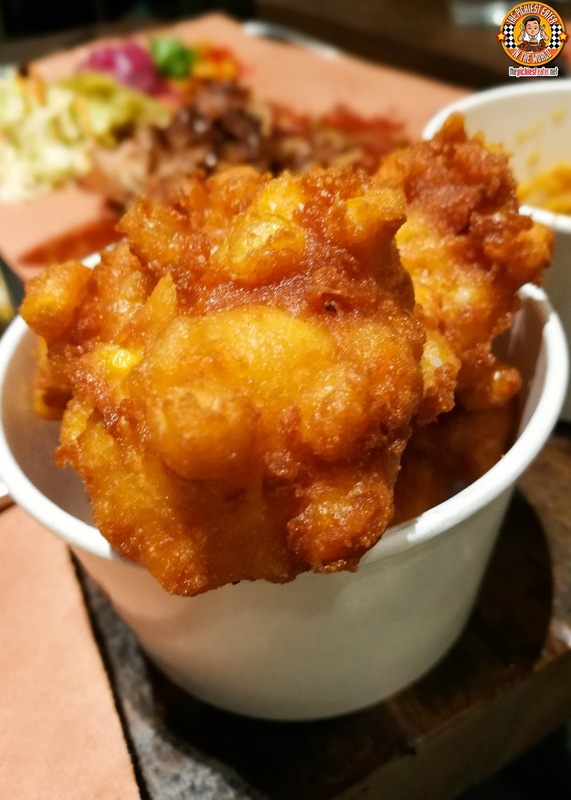 The standout among the sides, were the Sweet Potato Casserole, and the Sweet Corn Fritters. I honesty can't choose one between them, so I suggest you get both. 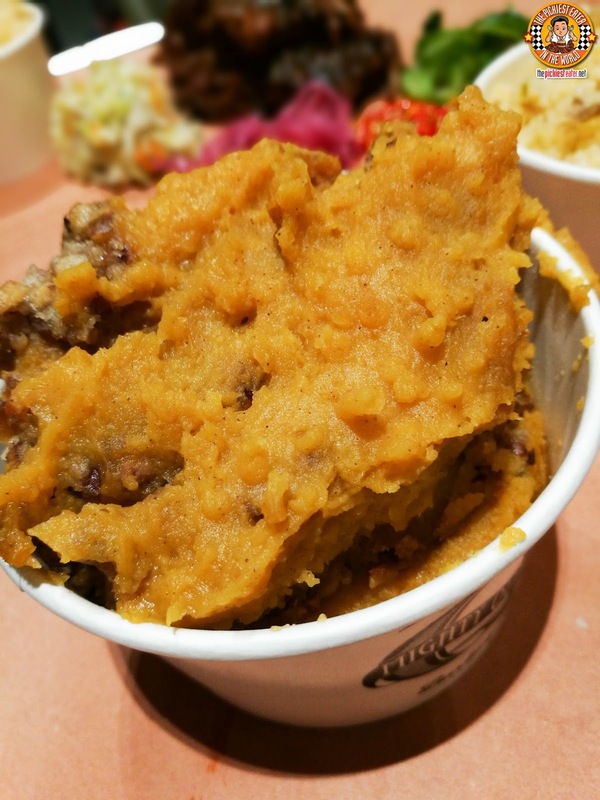 The Sweet Potato had a silky smooth texture, and a hint of Cinnamon that offers a nice contrast to the robust smokiness of the Barbeque. The Fritters, on the other hand, is reminiscent to Corn Muffins, with a crispy exterior, offer a wonder of textures with your every bite. The Chicken Wings (Six Pieces P405, 10 Pieces P685), were grilled masterfully and were incredibly flavorful, offering a delightful kick of heat with every bite. I'm not the best gauge for spiciness because my tolerance for heat is rather low, and this was a few notches above my capacity, so proceed with caution when ordering this! 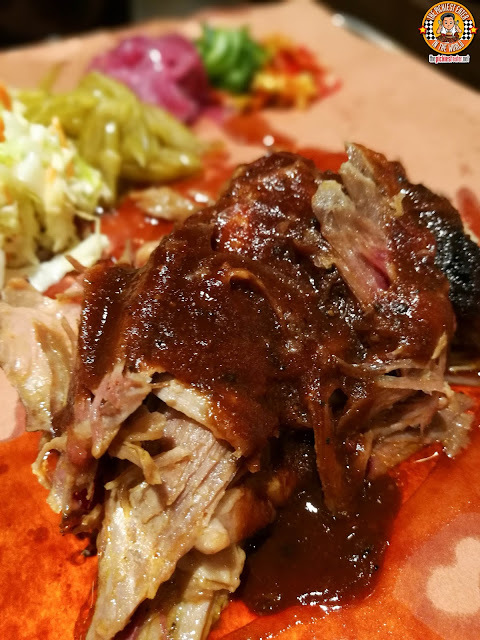 The Pulled Pork (P485 Single Serving/P1290 by the pound) was rather unique in the sense that the it was more "deconstructed", with the sauce poured on to it separately, allowing you to fully appreciate the smoking process the pork underwent. 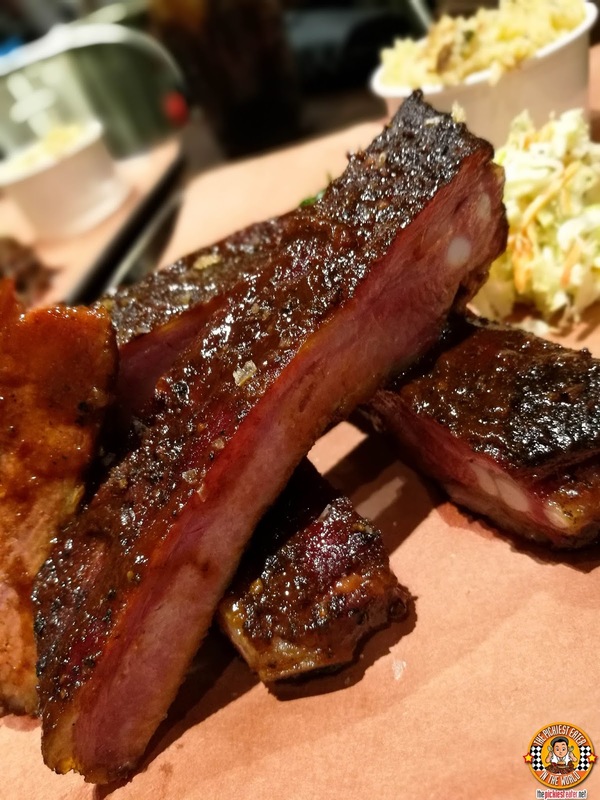 Something I learned about Barbequed Ribs during my first visit to Mighty Quinn's, was that as delicious as it is that way, Ribs aren't really supposed to be "fall off the bone". Pit Master Hugh Mangum explained to a fellow food writer that Mighty Quinn's prepares their Spare Ribs (P485 Single Serving/P1295 by the pound) with a little bit of a Bite to it, allowing you to hold up the rib bone itself and tear into it with your teeth. The Burnt Ends (P485 Single Serving/P1295 by the pound) will blow your mind. 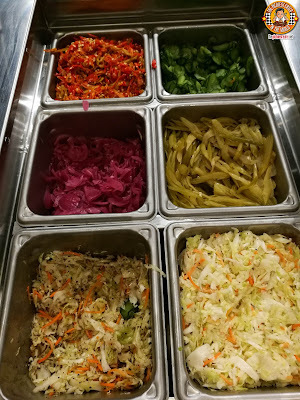 It is one of the best things you will ever eat in your lifetime, and your taste buds with throw a party in honor of you, after your first bite. 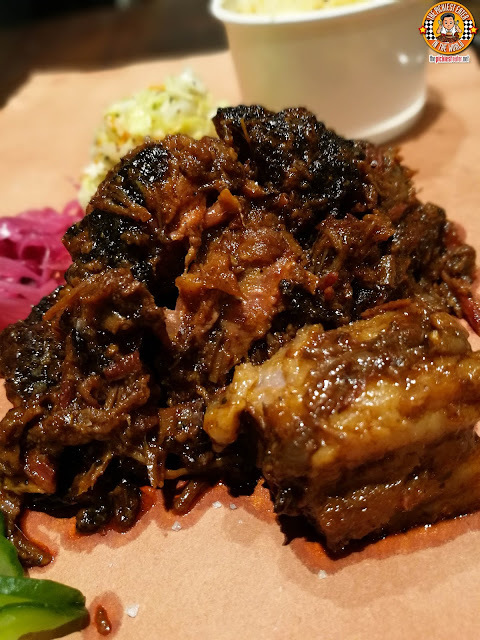 The Charred bits brings out the innate smokiness that the meat is imbibed with, and if you take your Barbeque seriously, then this is something you must not miss. 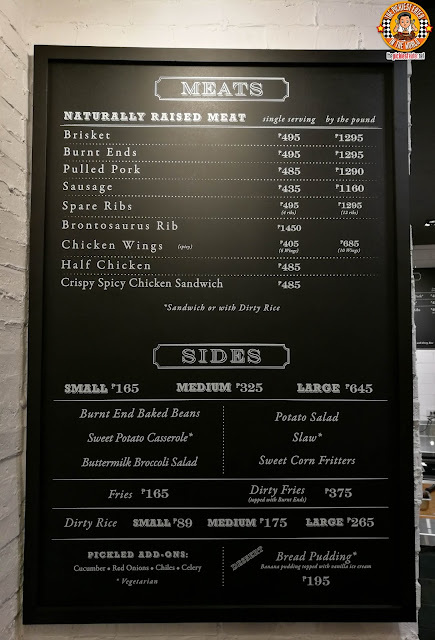 The Brisket (P485 Single Serving/P1295 by the pound) is perhaps what put Mighty Quinn's on the map. 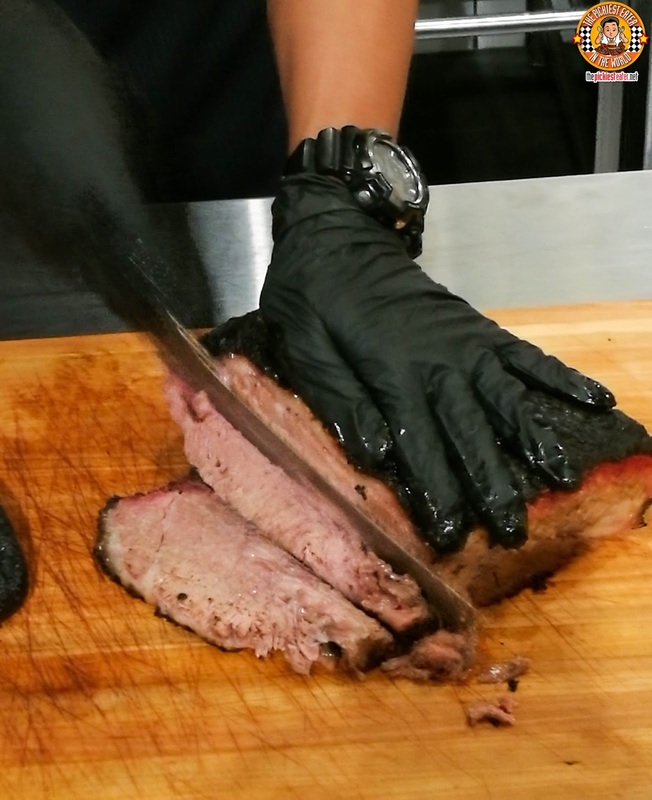 The Brisket is slow cooked for 24 hours before serving, and Watching the guy carve clean slices off the slab with swift strokes of his knife was like watching a Maestro conduct a symphony. 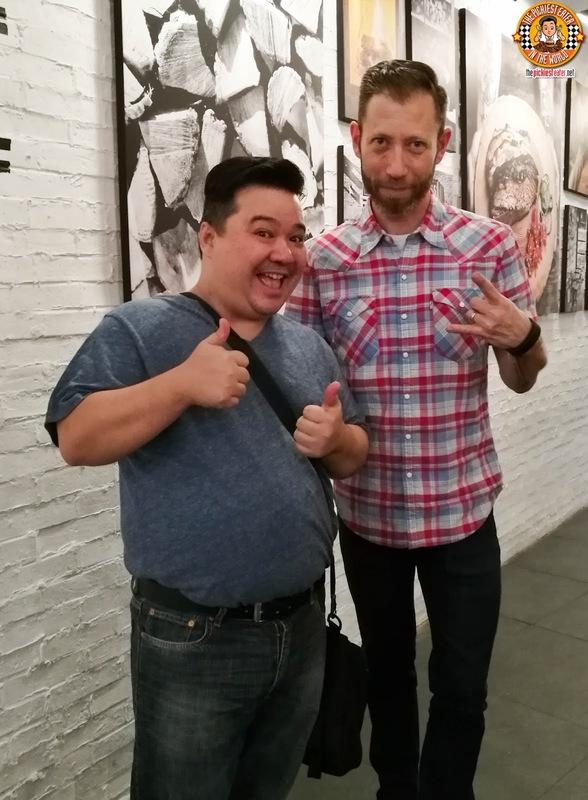 The meat was nothing short of spectacular. 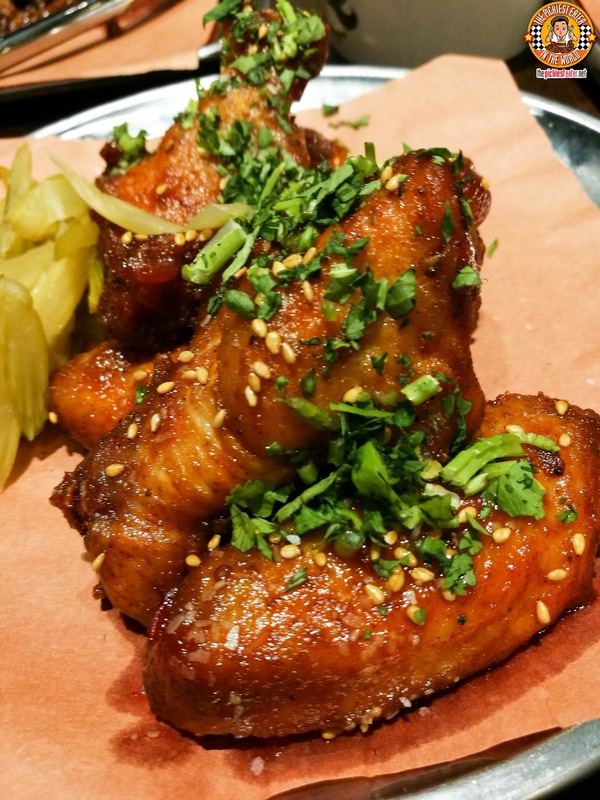 It was tender and moist, and you could tear it off with a simple tug of your fork. 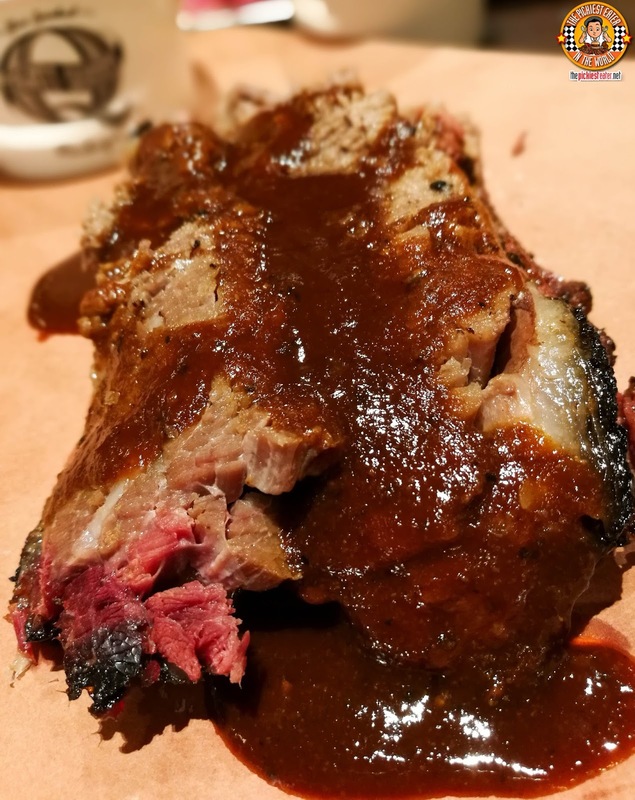 The Mighty Quinn's Barbeque sauce is the perfect pair for it, with it's delicious tanginess a wonderful addition to the savoriness of the Brisket. I also loved how it had a thin lining of fat on the side! The Crown Jewel on Mighty Quinn's menu, is undoubtedly the Brontosaurus Rib (P1,450). 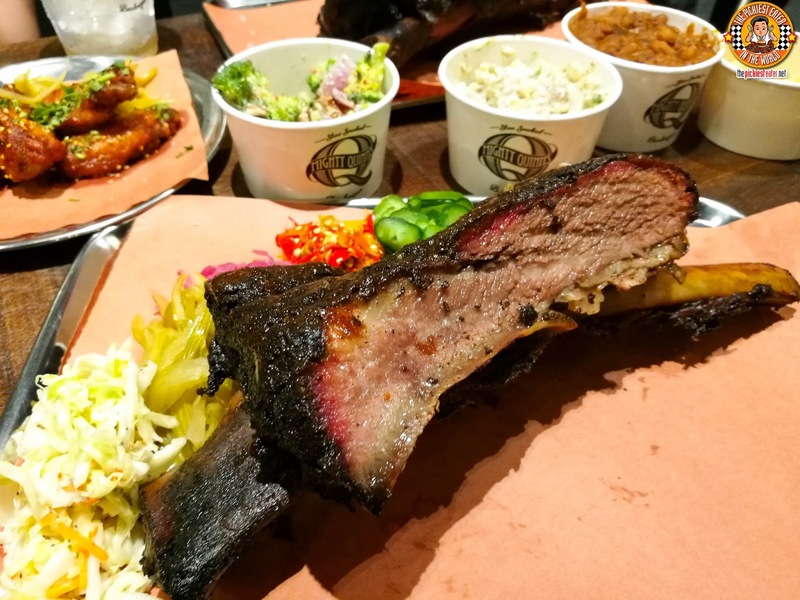 The Brontosaurus Rib is a massive Beef Rib that can be shared by 4 or even five people. you can see the outer smoke ring lining the side, and an incredible caramelization in its exterior. A suggestion would be to get the pickled add ons, such as the red onions, to allow the acid to serve as a counter to the rich smokiness of the ribs. 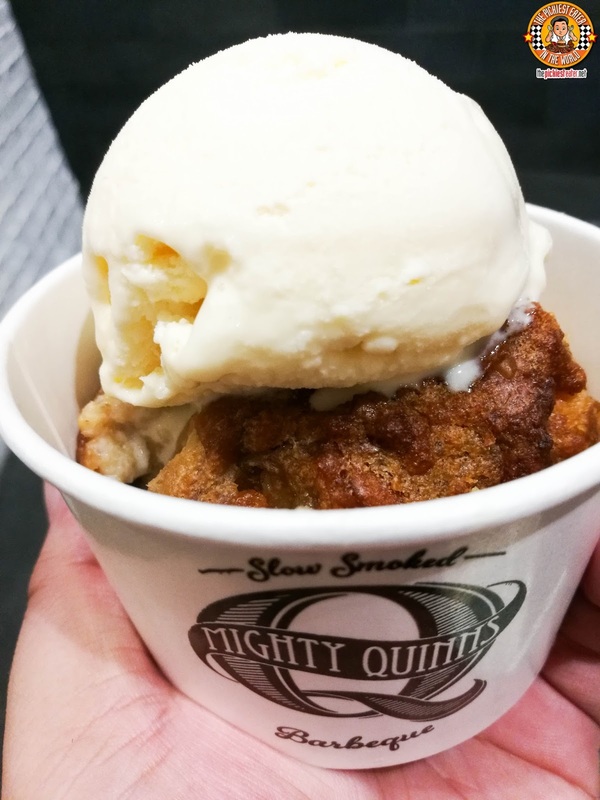 The only item on Mighty Quinn's Menu at the moment is the Bread Pudding (P195), and it's sensational. Made with Banana Bread Pudding, and served ala mode, the most difficult thing you'll do during this meal is saving stomach space for dessert, but trust me, this is worth it. Much thanks to my friends at Bridges for letting me in early for a delicious Sneak Eat at Mighty Quinn's! Shout out to my friend Bianca. We the cool kids. You can't sit with us. Unless you have Brisket. You gonna eat that? A special shout out to the gorgeous Denise, who together with the Standard Hospitality Team, has been raising the game & showing how exceptional service and amazing food can be delivered to their customers on a consistent basis. 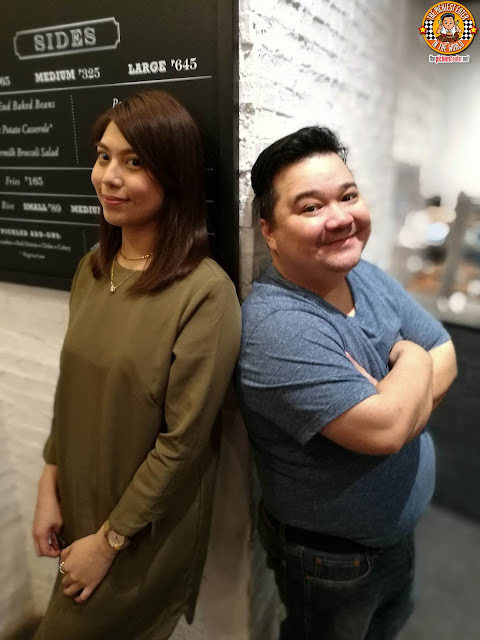 I'm so proud of Chef Lee Jose of Yabu Fame, who was able to flex his culinary muscles beyond his Japanese comfort zone, and recreate an authentic American menu here in the Philippines! The man is a genius! Congratulations to Mr. Hugh Mangum and the Standard Hospitality Group on the opening of Mighty Quinn's! 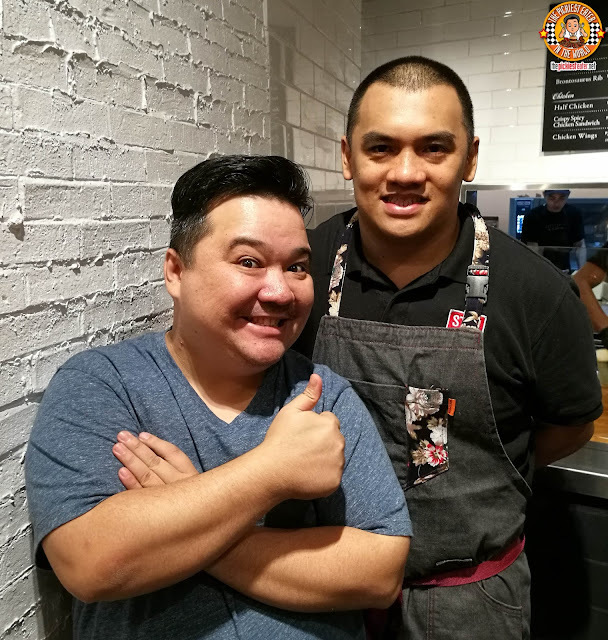 With its phenomenal Ribs, Brisket and Burnt Ends, Mighty Quinn's is poised to be another winner for the SHG, which already boasts of names such as Yabu and Ippudo.. All Titans in their respective fields!